Shopping for a new mattress can be a nightmare for everyone. However, things seem a bit straightforward if you are actually big and tall because some specific models definitely become no-go areas. In many cases, mattresses for skinny people should also be able to fit those who are larger, heavier, and a bit on the plus size. However, the larger body weight means there are a few core functionalities that cannot be compromised upon if you are serious about getting all the comfort you need and then some. Now that we know the importance of being vigilant in our quest to find the best mattress for heavier, overweight, and larger people, we are in a stronger position to go through the critical factors required to succeed. Keep in mind that for the purpose of this buying guide, overweight, plus size, bigger, and heavier is used to describe those of us weighing over 200 pounds. 1 What Are the Best Mattress Types for Big and Tall Sleepers? What Are the Best Mattress Types for Big and Tall Sleepers? Whether you are lightweight or on the heavy side, it is important to know that options are limitless when searching for a new mattress. 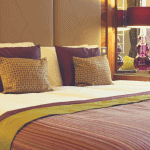 Which one to opt for will largely depend on what you personally require in a mattress. Let’s take a look at some of the most popular options out there to determine which one can be the best fit for you. 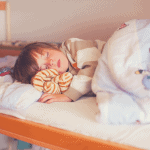 Memory Foam mattresses can be an excellent choice for bigger sleepers. They offer unrivaled luxury in a very soft or firm model depending on the type of components used. What makes these foam mattresses stand out is their ability to provide exceptional pressure point relief and support for heavy sleepers. They conform to the body’s contours to enable you sleep in the correct posture whether you prefer lying on your tummy, side, or back. Sleeping hot remains the number one problem associated with memory foam so make sure you find out how that specific brand you have in mind solves the breathability problem before hitting the order button. Keep an eye on specific models that feature Airflow technology, Open Cell Structure, and Gel or other cooling layers. Also, it won’t hurt to watch out for those with textile or fabric covers designed to provide cooling for the skin. Latex foam Mattresses are renowned for naturally being more breathable than those made with Memory Foam. Plus size sleepers therefore find the extensive cooling and greater support offered by Latex very reassuring. Latex mattresses also provide more bounce when compared to memory foam even if they are no match for innerspring and hybrid mattresses. The downside is that Latex doesn’t provide the same degree of contouring to the body when compared to Memory Foam. This makes Latex a great compromise for larger people who do not want to deal with the breathability problems associated with memory foam and would rather settle for decent contouring. Innerspring mattresses come in varying styles so it is important for obese people to choose models that deliver the right level of support, durability, and deep compression for their weights. Most people are tempted to choose cheap low quality models in order to save a buck or 2. However, these types can be extremely harsh on the body, leading to aggravated pressure points across several areas of the body. If you prefer innerspring mattresses, make sure to choose a model featuring coil-on-coil construction because they are the best for big and tall people. Sure, they may more expensive than the inferior models but you are assured of getting the amount of support and spinal alignment your body demands. Remember, innerspring mattresses offer the best edge support so this can be a huge positive if you like sleeping on the edge or sitting on the bed. 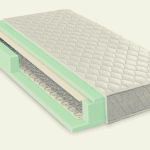 Hybrid mattresses are constructed from a combination of coils and layers of foam. They give users the advantages associated with innerspring mattresses such as exceptional air flow, increased edge support, massive bounce, and enhanced deep compression support. In essence, hybrid mattresses give you the best of both worlds as they minimize the negatives that come with each. The Sleep Innovations Shiloh 12-inch Memory Foam is uniquely crafted for the average to medium body weight. If you are looking for light cradling comfort that enables you to slip into Dreamland with ease and wake up roaring to go, you’ve got to pay attention. It is perfect for sleepers who consistently toss and turn in bed thanks to its world-class pressure point relief and custom spinal alignment that keeps you in the best possible posture. Whether you sleep on the side, stomach, or back, nothing can stop you from falling in love with this model. Sleep Innovations’ award-winning DuoComfort Design is adapted into the construction of this unit. The Top Layer delivers classic comfort in the form of a 2.5-inch Sure Temp Memory Foam while the 9.5-inch Support Plus Foam bottom layer promotes structural integrity by propping up the necessary support for user weight. 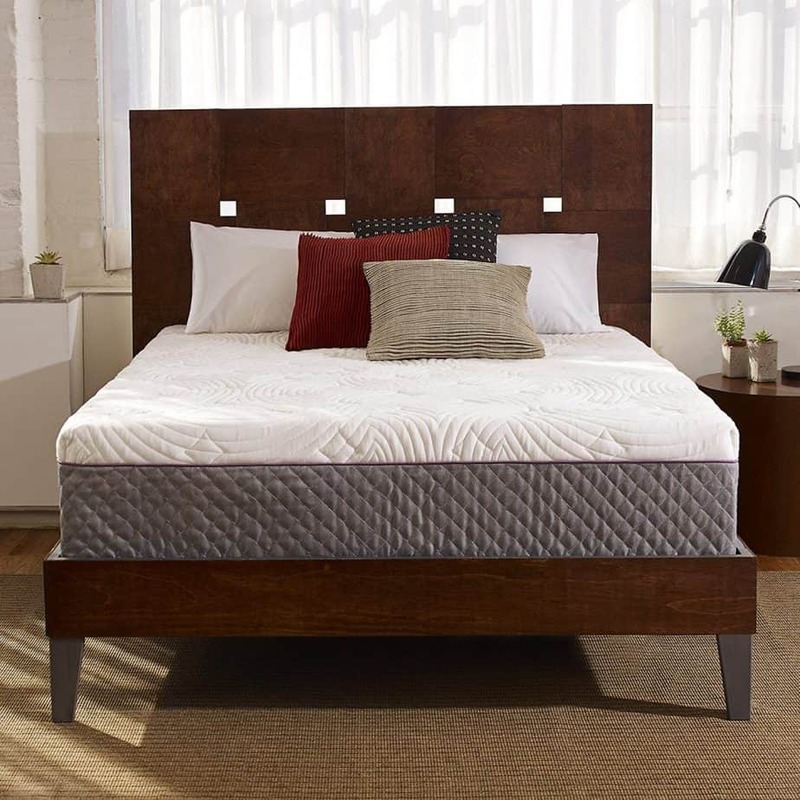 The Sleep Innovations Shiloh 12-inch Memory Foam Mattress stands out due to the commitment of the manufacturer to constantly refine standards to meet the ever-evolving needs of consumers. ​It is made in the USA by a team of industry specialists who have been in business for over 20 years. Their eyes and ears are always kept firmly on the ground to anticipate the requirements of consumers well in advance. How else do you think Sleep Innovations is able to back this mattress with a 20-year warranty? The Perfect Cloud Atlas Gel-Plus is rated as one of the best mattresses for the big and tall. After taking a look at what it has to offer and sleeping on it for many nights, most industry experts can’t help but agree. Powered by a 3-inch layer of 4lb density Gel-Plus Memory Foam, 5-star pampering remains in store for you and your partner every single night. This memory foam is certified by the renowned Goldilocks Standards so there are no doubts about its superiority. The 2nd layer of the mattress is designed to give sleepers the ability to sleep cool like never before. Abundant airflow and support is provided by the 3-inch dual-direction Double Airflow Comfort Foam. Optimum sleep regulation is therefore achieved so that you can rest easy and wake up feeling fresh and ready to hit the road. The 4-inch Base Support Foam base acts as the final piece in the puzzle to ensure maximum air flow to every part of the body while sleeping. It is also constructed with breathable Double Airflow HD Support Base Foam to affirm your ability to sleep in temperature-neutral environments. This can be lifesaving during extreme temperature periods of the year when room temperature is either too hot or too cold. The Perfect Cloud Atlas Gel-Plus continues to make a lot of waves in the market due to the manufacturer’s unflinching commitment to innovation and quality. Although the mattress incorporates some of the best foams on the market right now, the deluxe removable stretch knit cover is our favorite feature. The textile stretch knit cover comes with a Mocha Ultra-Suede side material that gives it a priceless contemporary finish as well as an instant soft-touch feel. The Lucid 16-inch Plush Memory Foam and Latex Mattress is an excellent choice when seeking the best mattress for heavy people. Available in a genuine plush finish, extreme comfort becomes a reality the moment you start sleeping on this 16-inch beast. Most current owners say they knew they had uncovered something special after a few days of sleeping on this mattress. This is no surprise thanks to the special Tencel cover quilted with a comfortable layer of bamboo charcoal-infused memory foam. This enhances breathability even when room temperature soars so your skin is protected from feeling the heat. Like all models from the Lucid range, this mattress is compressed before shipping to make setup as easy as possible. Once it arrives at your doorstep, you just carry it inside the home and uncover it on your bed for it to expand to full length and width. The LUCID 16-inch Plush Memory Foam and Latex Mattress gives you the best of both worlds. The top of the mattress features a 1-inch layer of bamboo charcoal memory foam with excellent thermal regulation properties. Those with sensitive skin benefit from the therapeutic properties of the bamboo charcoal. The 2nd layer of the mattress consists of a 3-inch Gel-Memory Foam which is softer and lighter than the standard types on the market. An additional 2-inch layer of Natural Latex sits beneath that. The blend of natural Latex and Memory Foam guarantees world-class orthopedic support for sleepers to help eliminate body sores, bad backs, and neck pain. The Overweight Bariatric Mattress features advanced technology to guarantee head-to-toe comfort for overweight people. Very few models on the market have what it takes to provide the necessary support for those in the 300 to 400-pound weight range. The good news is that it gets the job done with style and comfort. If you prefer a firm bed in spite of a lower body weight, then this mattress can be a great purchase as well. A 5-inch layer of Talalay Latex foam sits at the top surface of the mattress. Enhanced with Ultra Cell High Resiliency foam, a firm, supportive, and a deeply relaxing sleep surface to suit the requirements of those with heavier body weights await you. The premium Micro-Lux Cotton Blend Fabric Cover is gentle on the skin and soothes it from bed sores. It is hypoallergenic with world-class antimicrobial and non-bacterial properties to protect the skin. The Overweight Bariatric Mattress comes with superior weight support capabilities so you can sleep with ease even if you weigh close to 400 pounds. If you are tired of your mattress sagging in after a year or two of use, it’s time to invest in one that is armed with the necessary features to bring support, comfort, and durability to your bedroom. Each mattress is custom built-to-order, taking into account you and your partner’s weight as well as individual preferences such as firmness level, sleeping patterns, and positions. The Serenia Sleep 12” Quilted Sculpted Gel Memory Foam Mattress is top-selling model thanks to the superior workmanship and quality. Designed for those whose weight is on the heavier side; this 4-inch layer mattress model comes with a 1.25” quilted foam material at the top. This foam enables unrestricted airflow across every single inch of the mattress so you don’t wake up in the middle of the night feeling sweaty. A 2” Gel Memory Foam with 2.5lb density and 1.75” Gel Foam serves as the 2nd and 3rd layers respectively. These layers combine to dissipate body heat while delivering more air circulation to enable extra coolness. With a 7” High Density Support Base Foam that serves as the final layer, genuine support is guaranteed no matter your body weight. All foams used in the construction of this mattress are CertiPUR-US certified and sourced from the United States and Canada. Nonetheless, you should be aware of its amazing pressure relieving qualities that minimize the need to toss and turn in bed. If you have been deprived of deep sleep for a while, this mattress can transform your nights. The zero motion transfer also comes in handy for couples with significantly different weights. The Novosbed Medium Memory Foam Mattress delivers an accurate balance of support and firmness required by big and tall consumers. A few nights of lying on this bed and you’ll notice that the memory foam material used is like no other. Superior comfort and durability is achieved by the ultra-high density memory foam mattress used by the manufacturer in all of its beds. With integrated airflow channels throughout the foam, sleeping cool at night will become the norm for you. The best-in-class cover is removable and machine washable so you will never have to worry about dirt and odors several years down the line. To ensure that this mattress meets your sleeping needs before committing to purchase it permanently, the manufacturer offers a risk-free 120-night sleep trial. Novosbed is so sure you’ll love the mattress that they insist that you sleep on it for 60 nights free of charge before making a buying decision. 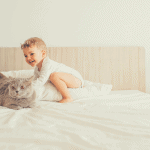 Novosbed Medium Memory Foam Mattress is no ordinary model. It is a true superstar in the mattress industry crafted to provide ample cushioning for everyone to sleep tight and right. 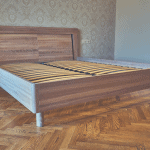 Novosbed offers a Perfect Firmness Guarantee for all purchases. This essentially means the company will ship you a Comfort Kit if you notify them that you’re unhappy with the firmness level after 30 nights of sleeping on it. This Comfort Kit sent makes the mattress a bit softer or firmer depending on what you ask for. The Winkbeds Mattress is a super premium model built for an exclusive range of customers. If you are searching for the best mattress for plus size people, the universe is smiling on you at this very moment. Unlike others which are mass produced, Winkbeds makes sure every single mattress is handcrafted to ensure superior quality control with the consumer’s unique needs in mind. It comes in a special hybrid design that combines the cushioning of foam with the support offered by springs. This enables professional athletes, high-performers, and those who have piled on the pounds to wake up feeling reinvigorated and ready to conquer the world. It is exclusively available online and manufactured from the highest grade American-sourced components. Not sure this is the best mattress to support your weight? Take advantage of the manufacturer’s 101-day sleep trial to feel it out before making a permanent buying decision. The Winkbeds Mattress gives you a lot of swagger by taking the luxury of your sleep to the next level. We love the fact that each mattress is made-to-order, taking into account the height, weight, and individual sleep preferences of each consumer. Your order is then handcrafted by a team of industry specialists with hundreds of years of combined experience to ensure you end up with the best mattress you’ll ever need. Here are the top factors to consider when looking for the best mattress for a big and tall person. The most important questions to ask yourself is how many people will be sleeping on the mattress and what is their combined weight? If you sleep alone then obviously a less thick mattress can still take you the long distance even if you are slightly overweight. At the same rate, a mattress that sleeps 2 overweight people will definitely need to be as thick as possible in order to provide the right level of support to guarantee not just sleep quality but durability as well. Historically, the best mattress for the big and tall has always been at least 12 inches thick. Sure, those who weigh considerable less can get away with 8-inch and even 6-inch models but that doesn’t apply to you. Well, unless you want to end up with a sagging mattress less than a year after purchase! Choosing a mattress with thicker profile will ensure that your body gains the deep compression support it requires to sleep comfortably and wake up refreshed. During shopping, the mantra should be simple. The heavier you are, the higher the amount of support you require and the thicker the mattress you should purchase. There’s no general rule to choose the right level of firmness for heavier sleepers as this tends to be quite personal. That being said, we have noticed that models rated as Medium to Medium Firm tend to be the most sought-after among plus size sleepers. Heavier people tend to experience a more pronounced level of sinkage which makes the mattress feel relatively softer to them than others. So for instance, a mattress that feels like 6/10 on the firmness scale for an average to skinny consumer could end up feeling like a 4.5-5/10 for another person who weighs considerably more. Edge support is one of the most underrated factors many of us consider when shopping for mattresses. However, it is important to keep in mind that your mattress can play a lot of roles in the course of the day before night falls. Edge support can be critical for those of us who like sitting on our beds for one activity or another. It can especially come in handy when you and your partner are in the mood for some bedroom action. Even if you’re celibate and never sit on your bed, you should know that mattresses with strong and resilient edges can be lifesaving in so many ways. Proper edge support eliminates sagging in the middle while keeping you or your partner in check when either decides or are forced to sleep on the edge of the bed. The truth is innerspring and hybrid mattresses made from foam and springs tend to give the best edge support to sleepers. Even for those who weigh considerably less, edge support is average at best in mattresses manufactured from Memory Foam, and Latex. The situation gets worse for those of us with bigger bodies. This is another reason why it is important to choose a thicker mattress if you are overweight. Edge support tends to be greater in foam mattresses with increasing degrees of thickness. Ever woken up in the middle of the night drenched in sweat? Sleeping hot can be a very uncomfortable reality. Mattresses that are not breathable enough to quickly and effectively dissipate the body heat of sleepers can be a nightmare to sleep on. Things actually get worse in the summer and warmer times of the year when temperatures skyrocket. Don’t forget that larger people usually have a bigger amount of body mass and therefore more body heat is produced. For those of us who sleep with a partner (or 2), the combined body heat from each individual’s weight as well as the heat generated by the sheets, comforters, and other bedding accessories can quickly spiral things out of control. Generally, Innerspring and Hybrid mattresses tend to be the coolest when compared to Memory Foam and Latex. Fortunately, many forward-thinking manufacturers have integrated advanced technologies into their Memory Foam and Latex mattresses to solve the breathability problems effectively. If you are going with foam mattresses then be ready to shell out on a premium model constructed with advanced Gel Memory Foam, Talalay Latex, or Avena to make sleeping more comfortable. You wouldn’t want to spend your hard earned dollars on a model made with cheap basic memory foam that is bound to sleep hot, would you? I have a question concerning the Winkbed on the Con side of your evaluation you said “Might be too heavy for side sleepers” could you please expand on this. I am a side sleeper, and would like to know how this would effect me. Hi Tony, I meant side sleepers may find it too firm, which is usually recommended for back sleepers. Thanks for getting in touch.